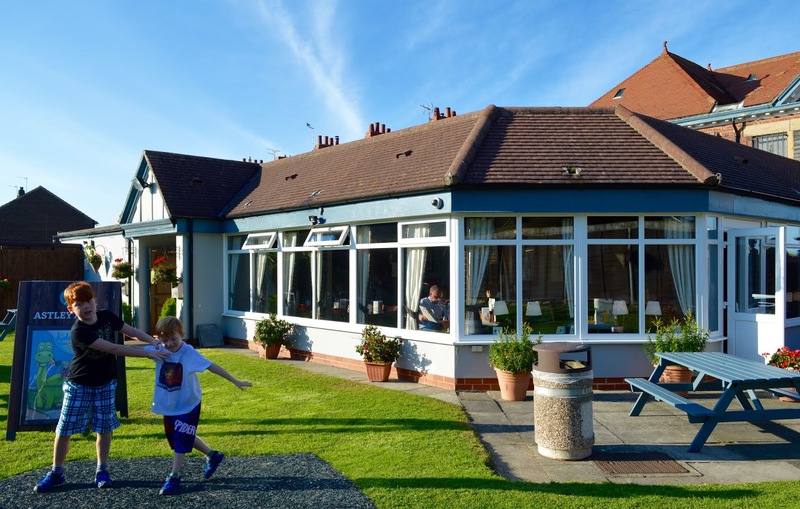 The Astley Arms in Seaton Sluice has had a makeover! The Astley Arms in Seaton Sluice is a pub we've been going to for years. It's one of those cheap and cheerful places to go for a carvery or a drink followed by a walk along the coast. 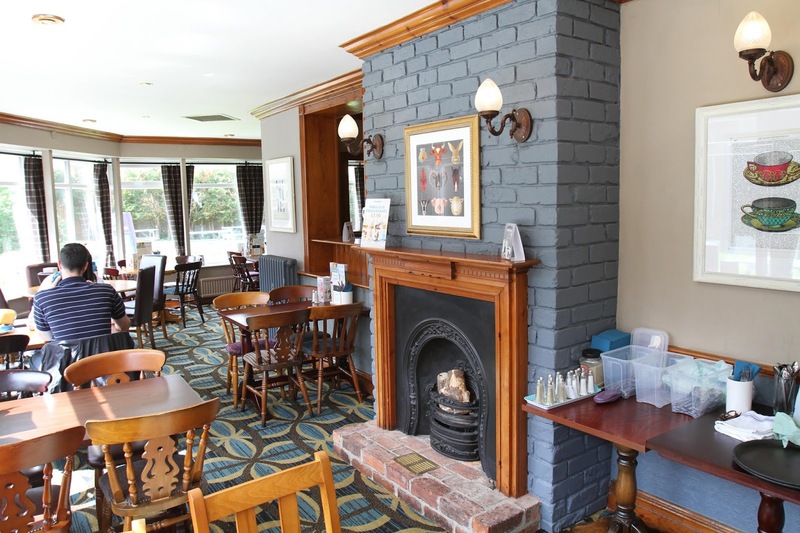 The pub has recently undergone a refurbishment and has a new look and new menu. We popped along this week to check out the changes. 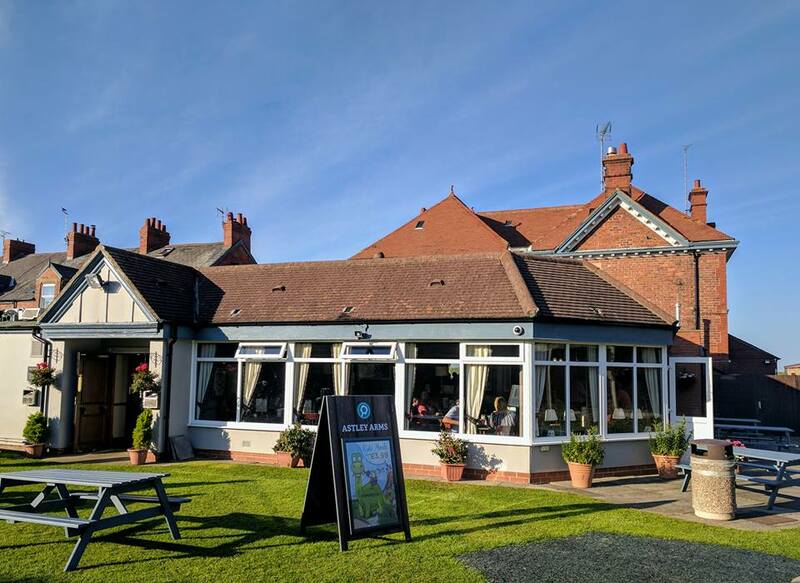 The Astley Arms now offer a more extensive menu with burgers, pizzas, wraps, baguettes and sharers alongside the traditional carvery. The interior has been given a fresh look and layout and it certainly feels a lot more modern inside. 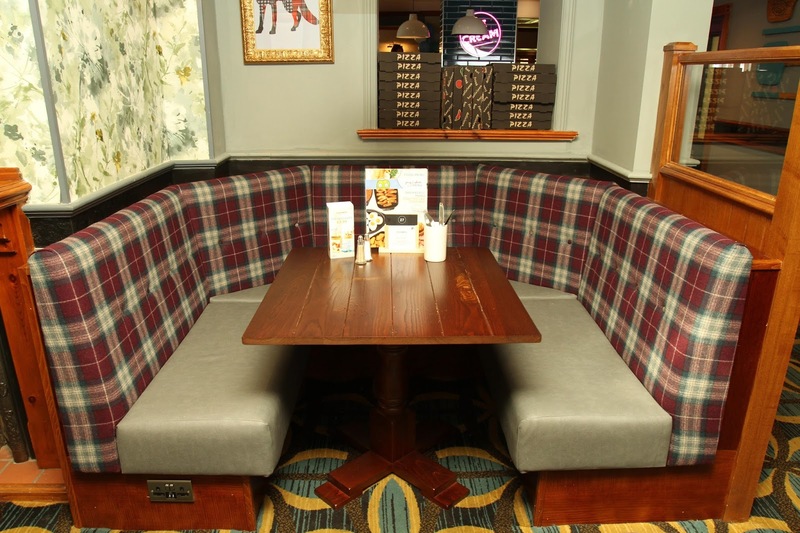 On arrival, simply find a spare table and then order at the bar. What I love about the pub now is that they have a children's play area in their refurbished beer garden. It's only small but was more than enough to keep our three entertained as they waited for dinner. There are plenty of tables out here if parents fancy an al fresco drink whilst the kids play too. 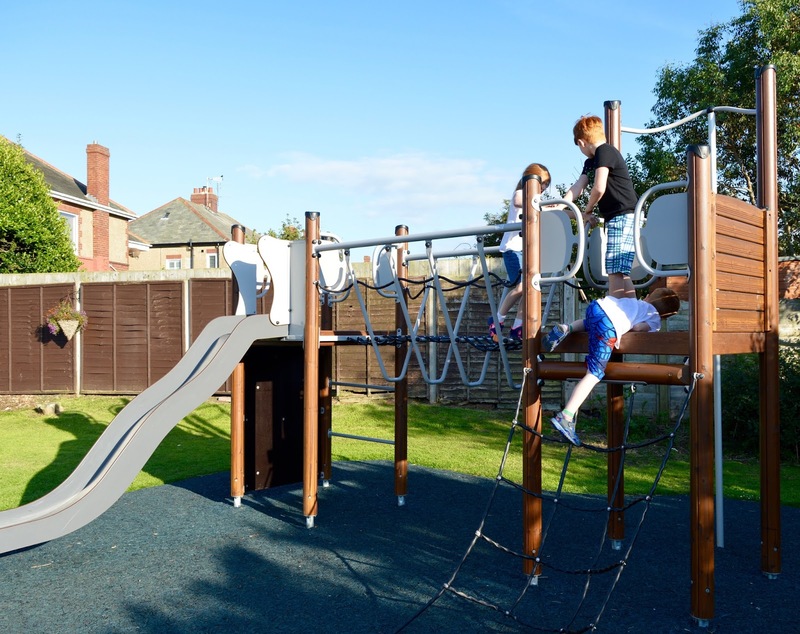 H, H and J really enjoyed playing out here, even more so because they bumped into some of their friends from school. 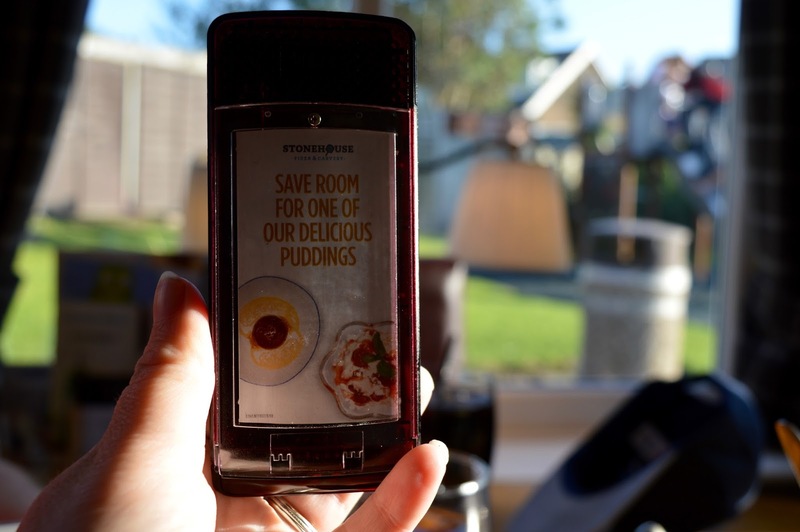 Food is ordered and paid for at the bar and you are provided with a buzzer for your main courses. When the buzzer sounds, you head to the service bar and collect your dish straight from the chef along with a side plate to stock up on sides. This works well and the kids actually enjoyed waiting for the buzzer to sound! I love the new mix and match starters. You can choose two for £6.29 up to five for £13.99. 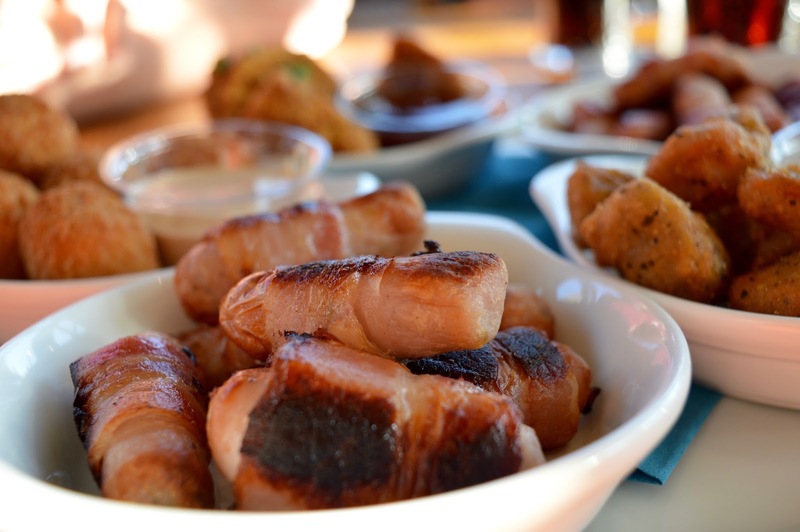 I was over the moon to see my favourite pigs in blankets on the starter menu and had to have them. They were delish. 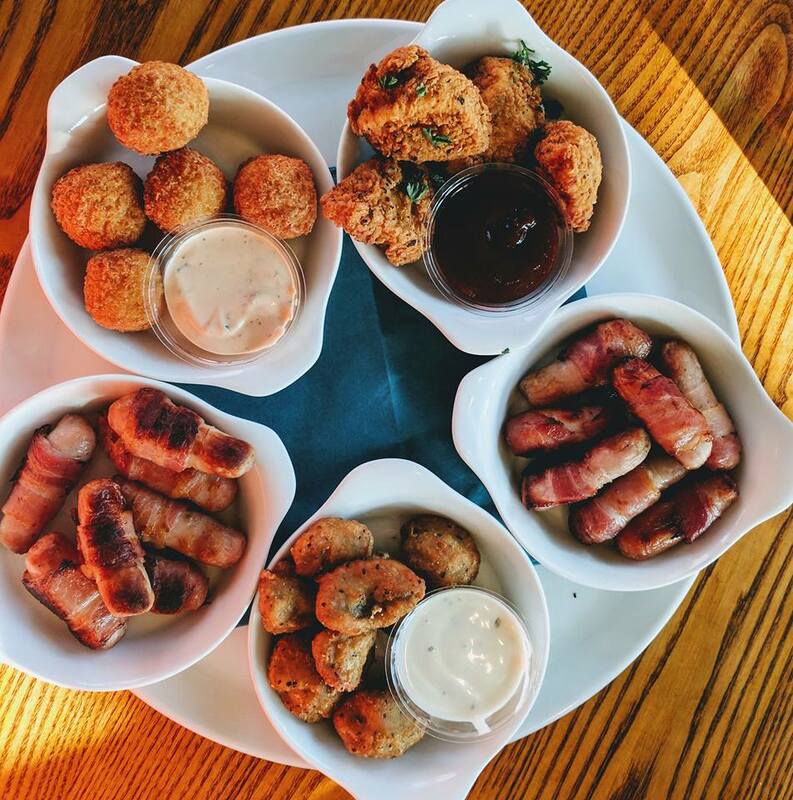 Pigs in blankets are for life and not just for Christmas people! 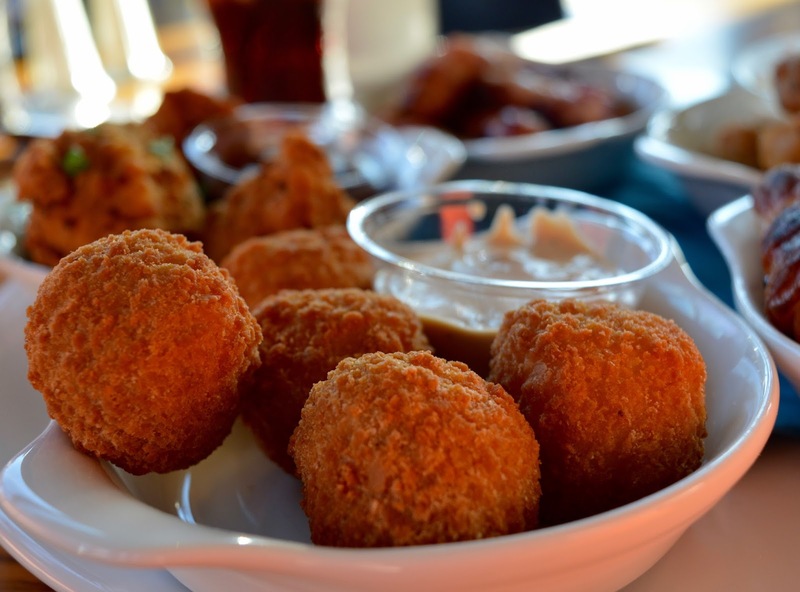 Other starters included mac and cheese balls, salt and pepper mushrooms and chicken bites. All devoured within minutes between the five of us! I ordered a margarita pizza for main (£6.99). 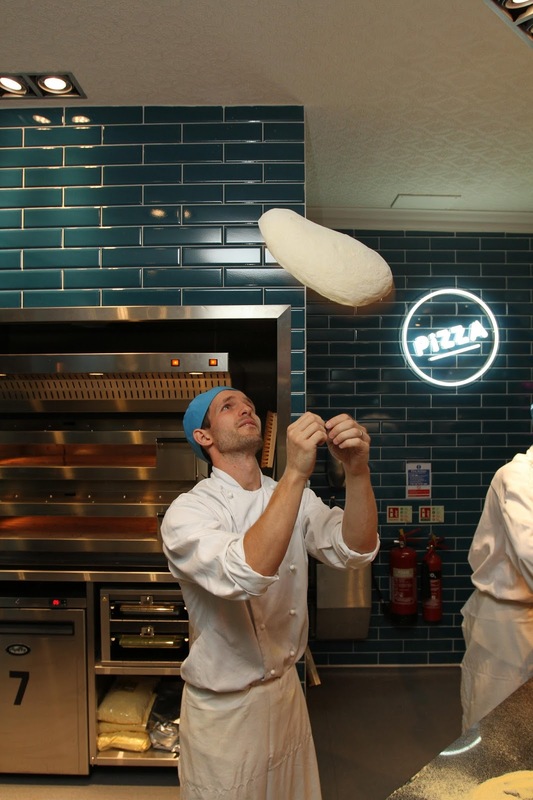 Pizzas are handmade in house rather than frozen. The crust was lovely and crispy but my personal preference is to have lots of sauce and my pizza was anything but saucy. 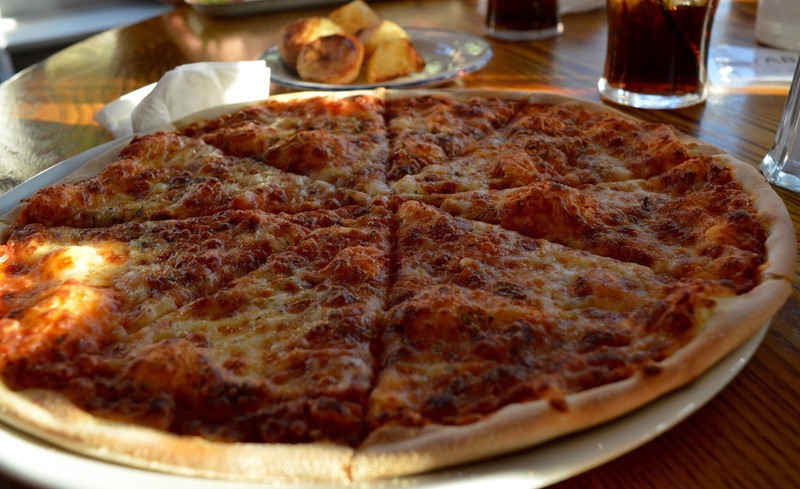 As Steve said it's my personal preference but I think I'll stick to pizzas from Italian restaurants rather than pubs as my pizza was just not to my taste. Harry ordered a buttermilk chicken burger from the main menu and really enjoyed his dish. For £6.99 this was a decent price and you can help yourself to sides from the buffet bar. Despite it being a sunny evening, Steve was in the mood for pie and at £5.99 we weren't expecting much but it was actually nice. 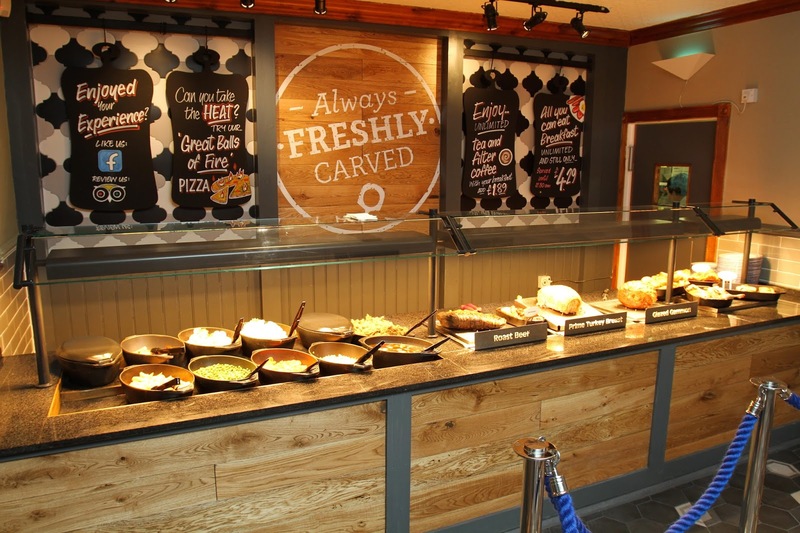 You can help yourself to salad/vegetables/chips/yorkshires from the buffet station and the gravy was nice and thick. Overall, the meals weren't bad but they weren't fantastic either. I do think that when you consider the price point that they offer families good value for money. My grandad catches the bus to Seaton Sluice every Saturday and orders a small carvery for himself for just £4.99. I don't think he could cook himself a roast dinner for this price. 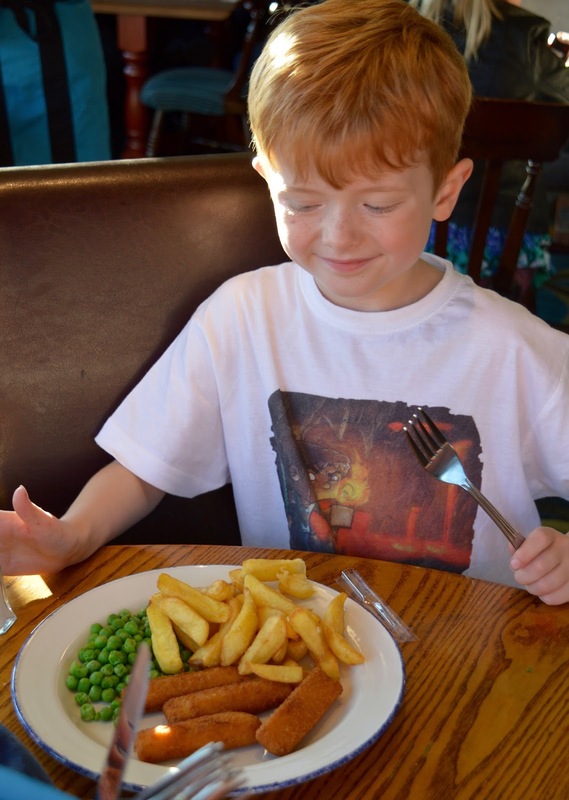 He loves the Astley Arms and always comments that the staff help and look after him well. 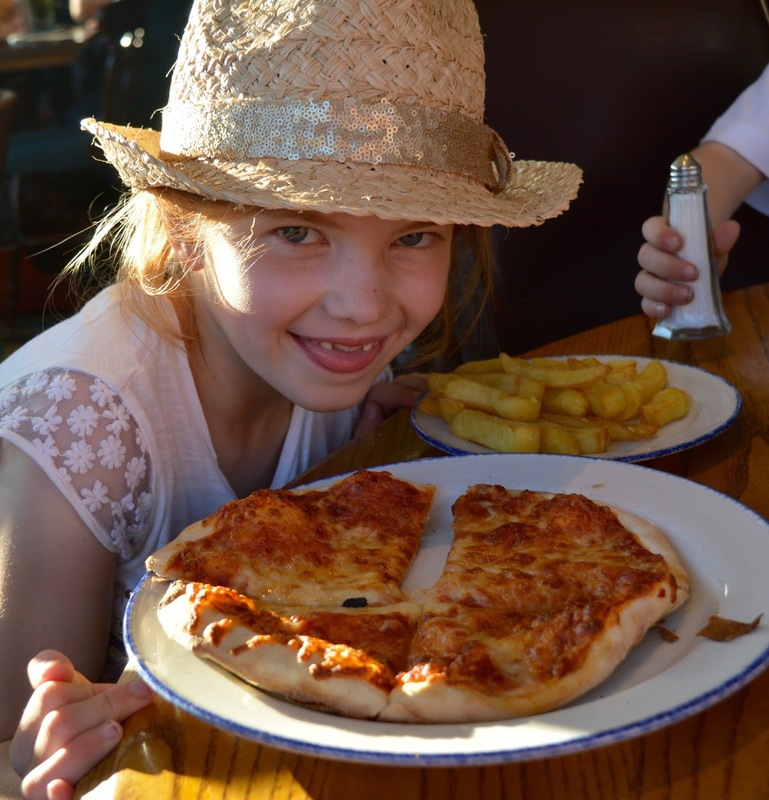 The children's menu (as well as the beer garden and park) is the main reason I will return to the Astley Arms. 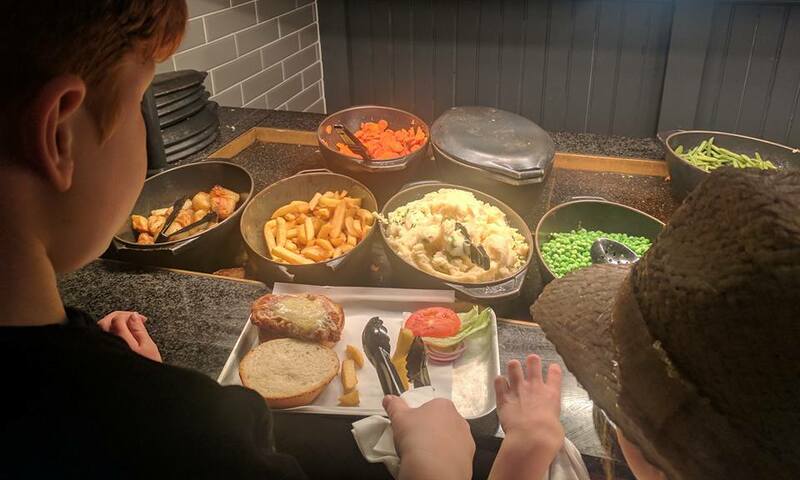 Children's classics are just £3.99 and they can help themselves to unlimited sides (so chips, potatoes, vegetables and salads). 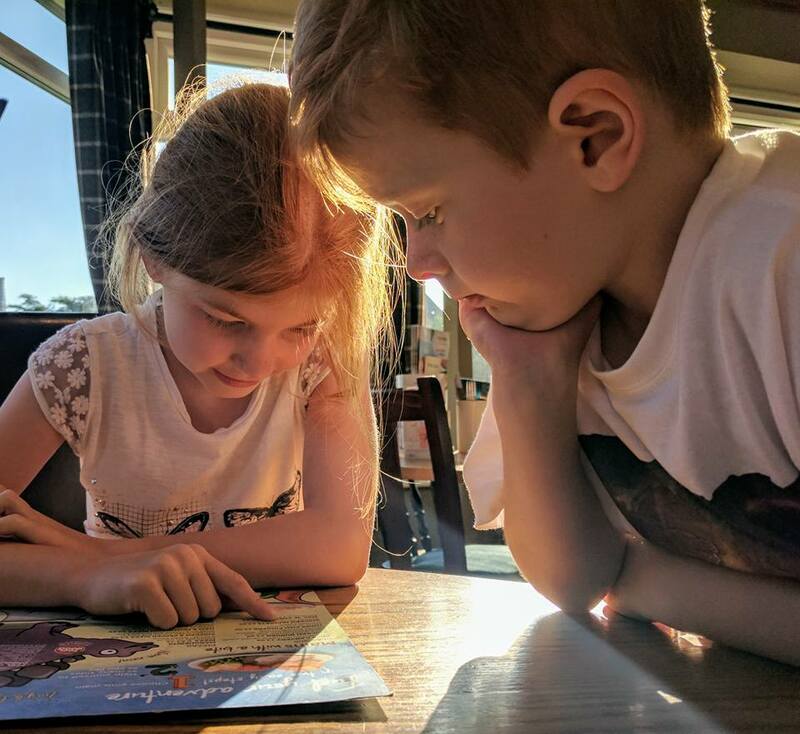 If you're having one of those weeks where you just can't fill your children - bring them to the Astley Arms and let them fill their boots. The food is just what I would call a 'freezer tea' at home but the kids like this and for the price I'm certainly not complaining. We were too full up for dessert today but you can buy an unlimited ice cream sundae for £2.49. Bargain! It's worth noting that there are no children's activity packs or colouring sheets ect... available but you can find activity packs behind the bar for £1.99. I've never seen this in a pub before - if your children enjoy colouring ect..... when you're waiting for food, I'd advise you come prepared and bring your own. 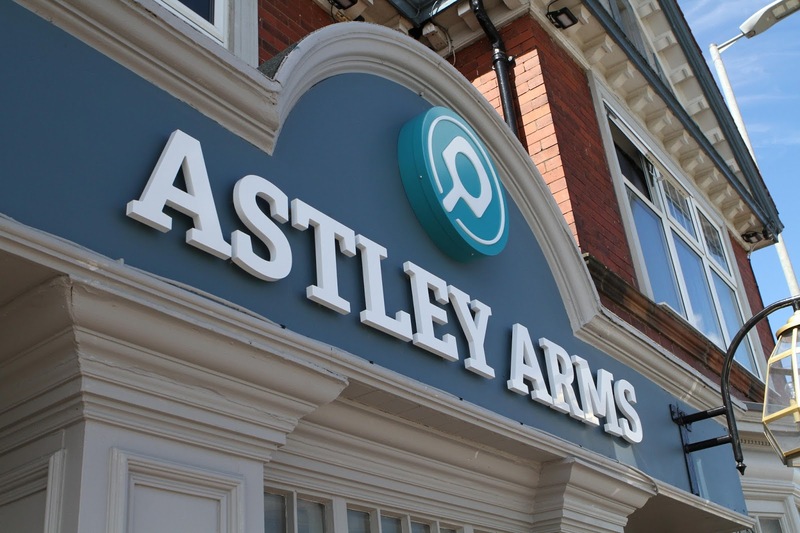 Overall, I think the makeover has been certainly improved the Astley Arms. 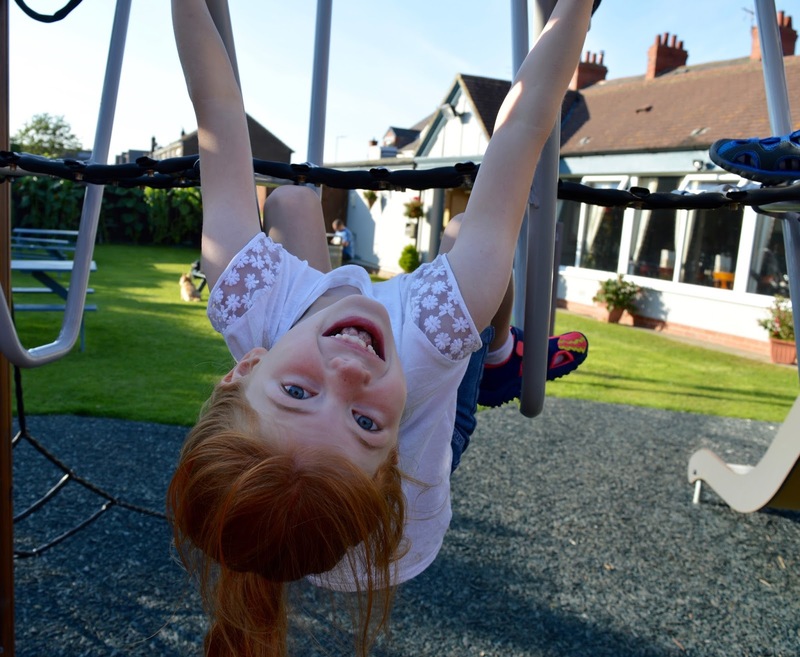 If you're looking for a cheap meal out after a walk along the coast or a dog-friendly beer garden with a small play area near the beach, I'd recommend. 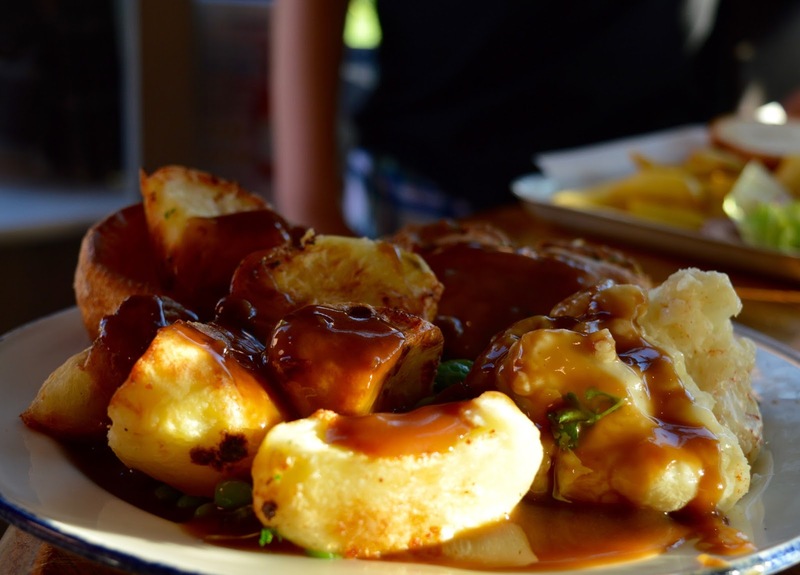 Do not go expecting home made food, but do go with the understanding that you get what you pay for and expect a place where you can fill yourself up at a low cost with friendly and welcoming staff. I'd love to give a special mention to the waiting staff who were so lovely during our visit and really made us feel welcome. They'll happily box any leftover pizza up for you to take home too. 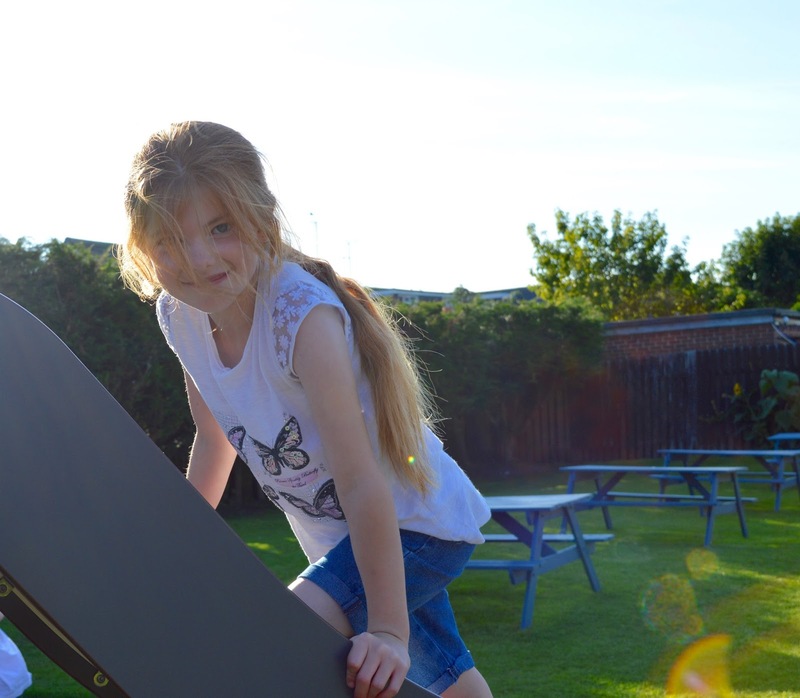 No visit to the Astley Arms is complete without a trip to the park before heading home which is exactly what we did.